Is anyone using this modem getting weird error stats on the statistics page? I can refresh the page, and the values will reset to zero. Next refresh will show another set of numbers. See screens below for examples. Yeah the stats on this modem are f*cked, I've just given up asking for them to fix them. But to be honest, if you plan on using this modem, the incorrect stats will probably be the least of your worries. I'd advice you to replace this with a decent router, this one is absolutely useless. 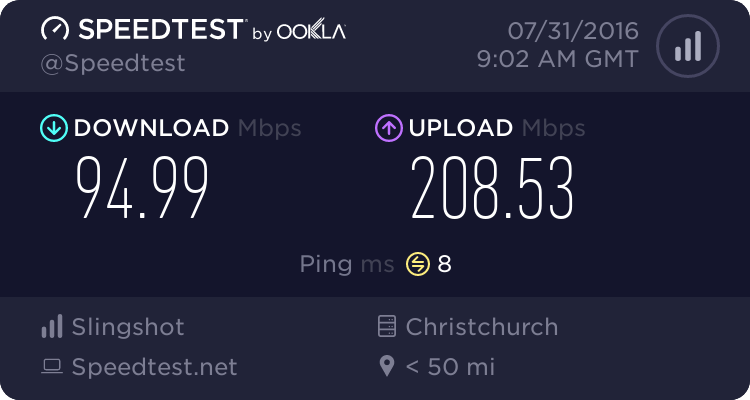 Modem seems to work fine for me in bridged, 7 days stable atm, connected to an RT-N66u. Would have a much higher uptime if I didn't mess around with my router so much! Haha - Had just over a month stable previously, the modem does hiccup every now and then and requires a restart, but not that often for me.